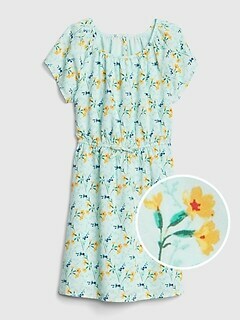 Enjoy the coming holiday with fun, comfortable and sweet style with Gap's Easter dresses for girls. 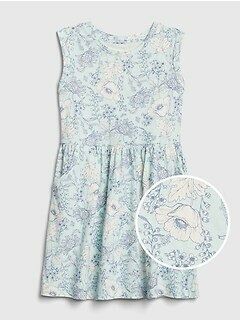 Easter is traditionally the time for flowers, sunshine, and super adorable dresses. 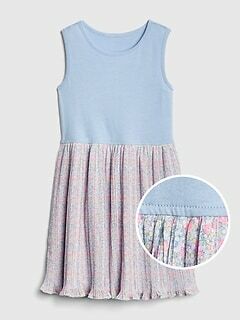 Give your little girl a holiday to remember by picking up an outfit from Gap's selection of girls' Easter dresses. 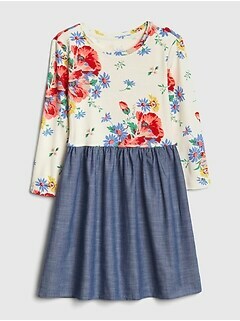 Shop our classic collection of always cute and fun dresses featuring colors, details, styles and patterns perfect for the springtime holiday. 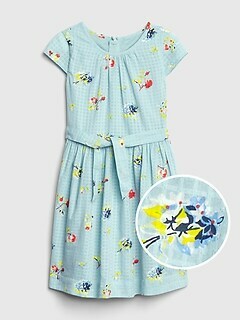 Whether you're going to church, celebrating with family, or just having an Easter egg hunt, your little one will love an outfit from Gap. 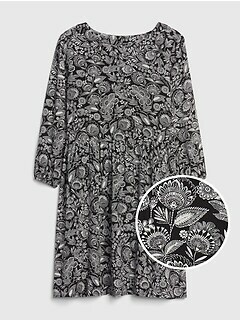 Count on quality materials and construction for sturdy dresses that are sure to last beyond the holiday, and a range of sizes for a comfortable fit she'll love to wear again and again. 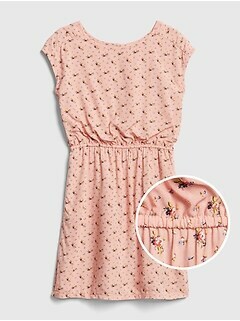 Count on Gap for cute Easter dresses for girls. Our sweet selection is bursting with bright colors, fun details and comfortable fits so your little girl can have a memorable and enjoyable holiday. 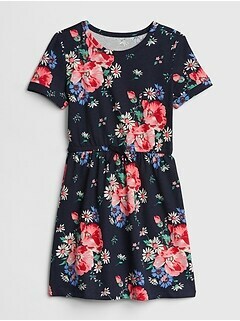 Vibrant colors and patterns are perfect for springtime, so choose from dresses in colors like bright pink or sky blue, or in patterns including floral, polka dots, stripes and more. 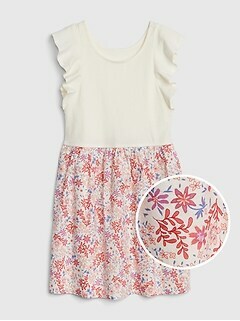 She's sure to love fashionable details like twist backs, tie waists, flutter sleeves, shoulder cutouts and eyelet lace. Shop tons of styles from empire waist to tie-shoulder and ruffled bottoms. 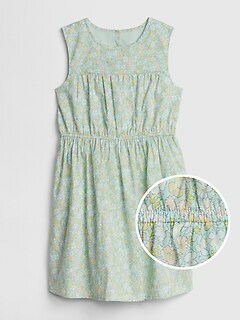 We even have shorts, pants and blouses perfect for an Easter celebration. 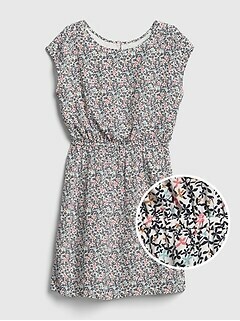 Craft a casual Easter outfit from floral print shorts, lace tops, flouncy skirts and more. 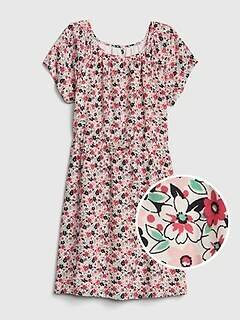 Count on Gap for great Easter outfits for girls. Let your budding fashionista pick out her own outfit, or help her choose from our fashion-forward variety of dresses, skirts, shorts, blouses and more. 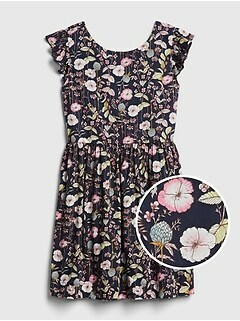 She'll look and feel great in a soft, flutter sleeve romper and sneakers for an Easter egg hunt. 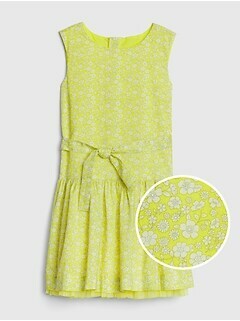 Pick out a lace dress and a light cardigan for an Easter church service look that easily transitions to Easter dinner. 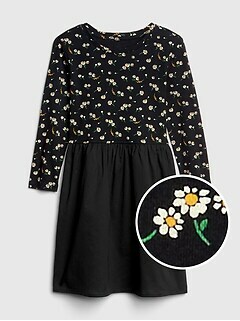 Add a fun hat or metallic sandals for even more fashion fun. 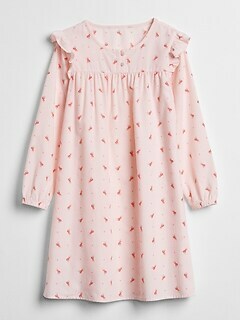 Shop fun, fabulous and always quality girls' dresses for Easter at Gap.